Taidea Technology’s dual-sided combination whetstones allow for sharpening knives and honing edges to a smooth finish. With a fine to ultra-fine grits, these stones work best when wet down for both lubrication and cleaning. 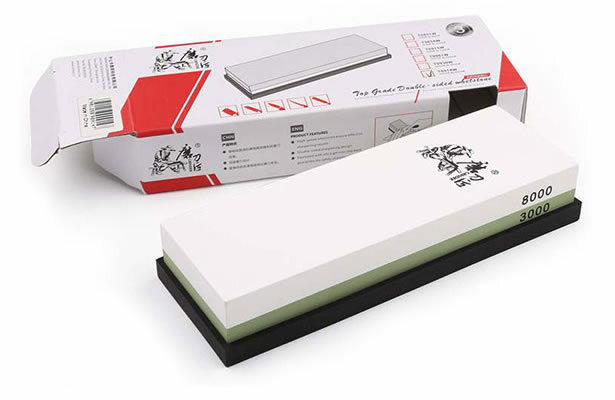 These premium whetstone make a great gift for any kitchen enthusiast, knife collector or butcher. These stones easily store away in a cabinet or kitchen drawer when not in use. 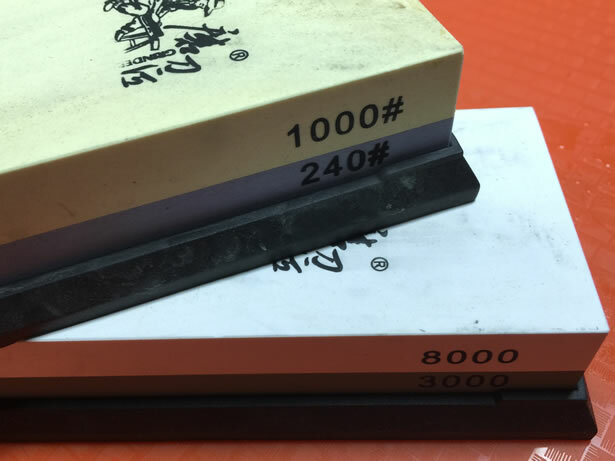 Japanese whetstones provide a highly-effective way to manually sharpen knives, especially some of the more difficult grinds to sharpen like flat and Scandinavian grinds that do not have a secondary bevel. Sharpening solutions that alter the geometry of the blade grind, concave or convex can ruin true flat and Scandinavian grinds, making the bevel nearly impossible to recover. Whetstones are not called whetstones because they are commonly used with oil or water. The name actually comes from the verb, whet which basically means to sharpen by rubbing on or with something such as a stone [To whet a knife]. Whetstones can be made from natural minerals like Novaculite. These are called Arkansas, Ouachita or Washita stones and are typically found in the Ouachita Mountains in Arkansas. They are commonly used for oilstones due to their fine grade. Whetstones made from artificial materials are typically made from a bonded abrasive composed of a ceramic material such as silicon carbide (carborundum) or aluminium oxide (corundum). Bonded abrasives tend to provide a faster cutting action than natural stones and are commonly available as a double-sided blocks with a coarse grit on one side, and a finer grit on the other. The finer the grit of the stone, the finer the edge. Extremely fine grits remove very little material and are often called polishing stones. Taidea Technology whetstones are made from a white corundum and are available in many single and double-sided configurations ranging from 240# grit to 8000# grit. However, for this review I will be focussing primarily on their 240# / 1000# and 3000# / 8000# stones just to keep the review a little simpler to demonstrate and track. The size of these stones are also referred to as bench stones. Whetstones must be well lubricated to keep the pores of the stone free from clogging by lifting the swarf and turning it into a slurry. It also cools the edge of the blade during the cutting action. Water is typically the preferred lubricant, but a food-grade honing oil can be just as effective. However, once a stone has been used with oil, it can never be used with water without completely drawing all of the oil out of the stone by boiling it first. This is a long and messy process. Each double-sided stone is 7″ long, 2.35″ wide and 1″ thick and comes with a silica gel non-slip base. They fit snuggly inside the base to prevent the stones from sliding around while you are using them. To test out the Taidea Technology whetstones, I chose to sharpen my QuickHatch Trapper which is a 4.75″ fixed-blade bushcraft knife made from 01 tool steel with an aggressive Scandi-grind. To prepare my workspace for working with the whetstones lubricated with water, I grabbed a plastic 12″ x 16″ serving tray, a couple of terrycloth towels and plastic container large enough to submerge two whetstones. After filling the plastic container about half-full, I placed the two stones in the water. They immediately began bubbling up as the air was released and replaced with water. Some say soak the stones for 5-10 minutes minimum, while others say at least an hour. However, at a minimum, the bubbling needs to stop completely. Since these were new stones, I chose the latter just to be on the safe side. After about an hour, I placed the coarser of the two stones with the 240# grit side facing up in the silica gel base. I decided to start with the 240# because the edge needed to be reprofiled. 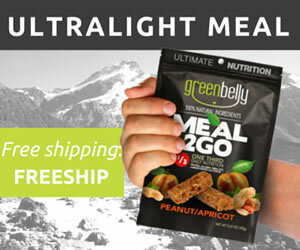 But for small tuneups, normally you would not start with a grit so course. It is important to use the entire surface of stone as much as possible to keep the stone flat so it will remain consistent over its lifetime. Most knives have a beveled angle somewhere between 10° and 30°. With these stones, you simply match the angle of the bevel and proceed to sharpen the blade. For Scandi and flat grinds without a secondary bevel, the bevel angle is usually very pronounced making it easy to find. If you change the angle, it will likely require a lot more material to be removed to accommodate the new angle. Although, sometimes that is the only way to recover from a chip or roll. There has got to be as many opinions about the proper technique for using whetstones as there are people with knives. In some books and videos, they show using a back and forth technique while applying a gentle downward pressure. In others, they show various forward only techniques. But for the purposes of this test, I followed a forward only technique similar to what Ray Mears is demonstrating in the video embedded here. In this test, I will not be using a Nagura stone because I have an 8000# grit stone available so don’t really need one. Nagura is actually the name of a Samurai who came up with the concept of using a stone capable of raising a slurry on a harder stone. Since most Nagura stones produce an 8000# grit slurry, I really don’t need it with these stones. I proceeded to sharpen using the 240# grit side of the stone, alternating each side of the blade until I could see an even color along both bevels. I started with 8 passes on each side of the blade, and then slowly reduced the number of iterations until I was alternating sides of the blade every other pass. It is important to add a few drips of water here and there as you go to keep the slurry very wet. After I was done with this grit, I washed the slurry off and dried the blade before proceeding onto the next step. 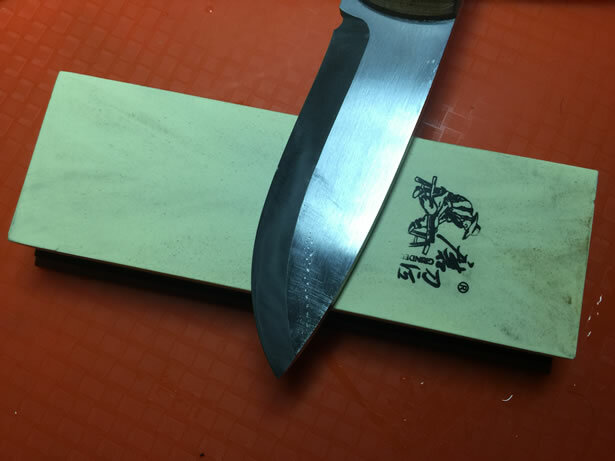 I flipped the stone over to the 1000# grit side where I continued to sharpen the knife, alternating on each side of the blade with the same technique as before. Starting with 8 passes, and slowly reducing to only one pass per side. I kept this up until you could see an even color and shine begin to show on the beveled edge. Again, I washed the slurry off and dried the blade to prepare it for the next step in the process. I swapped stones with the 3000# grit side up and continued sharpening again following the exact same technique, alternating each side as the beveled edge became more and more polished. Once the finish was evenly colored, I flipped the stone to the 8000# grit side of the stone and proceeded with the final step before stropping. The 8000# grit stone is easily fine enough to polish the beveled edge to a smooth, but dull-mirrored finish. The last step in the process was to strop the blade with a green honing compound to further polish the blade and sharpen the edge to the point that it will split hairs. With all of the water, it is important not to forget to apply some kind of protectant to keep the blade from rusting afterward. Cleaning the stones after each use is very important in order to keep them in tip-top shape. The swarf will clog the pores of the stone and begin to rust almost immediately if you let it sit. The surface of each stone needs to be scrubbed thoroughly with a soft brush and left to air dry so they won’t mildew. Taidea Technology whetstones are high-quality stones easily capable of honing amazingly sharp knives. However, they are not a good choice for the hasty or the impatient. It really takes a lot of practice and patience to work these stones properly and deliver those ultra-sharp edges that we all strive for. If you don’t mind putting in the time and effort necessary to achieve amazing results, they are a perfect addition to any professional-quality sharpening solution. These whetstones are very affordable and will last for many years as long as they are properly taken care of. I give them two thumbs up! If you need a good sharpening solution, they are definitely worth a closer look. Taidea Technology. (Zhongshan) Co., Ltd. is an high-tech enterprises specialized in R & D, manufacturing, marketing and services. Founded in 2006, now Taidea covers an area of 8,000 square meters, possesses a completed and independent supply chain. After 9 years of development, currently Taidea owns “Grinder”, “YOYAL” and other brands, have up to 60 kinds of R & D products, more than 50 kinds of patent products, and export to more than 60 countries and regions.